Six students received prizes in a national competition among participants in the Coca-Cola Valued Youth Program, a nationally-recognized cross-age tutoring program of the Intercultural Development Research Association. Coca-Cola Valued Youth Program tutors wrote about how the program helped them do better in school and how they had helped their tutees to do better. There were competitions at both the middle school and high school levels in the United States. Winners from each competition are being awarded $200 for first place, $150 for second place and $100 for third place. Congratulations to the winners, and to their families, teachers and schools, and to all who participated in this year's contest. 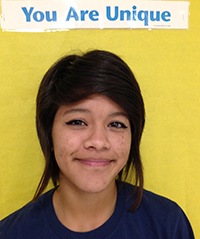 In her essay, Michaela Valdez wrote: “Because of my tutees looking up to me, I wanted to change for them. I went from the girl with depression who was alone and wore all black every day, to someone who is happy, social with friends and wears more color. I used to hide the real me from the world because I feared being judged. But spending so much time with my tutees, they taught me that it’s okay to be myself. So now, because of them, the real me is here. I’m not trying to be someone else anymore… I have gained my self-confidence back. I used to never have faith in myself, until now. Now that I have hope and faith, my grades have gone up dramatically.” - Read the full essay. 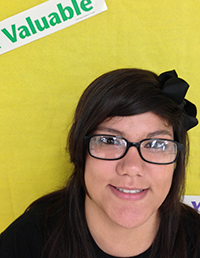 “The Coca-Cola Valued Youth Program has helped me see people different. 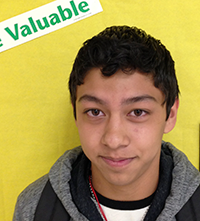 In this program, I have seen that they actually care for me…,” Nicholas Alderete wrote in his essay. “These third graders have made me feel special. They welcome me every day I go tutor with a jump of cheer and scream my name ‘Nicholas!’ It’s amazing how they do that and make me feel important… I have tutored them in math, reading and spelling. They have learned a lot and come to school every day. Attendance was a problem with them, but now they show up every day. I am so proud of them. My attendance used to be off. I never wanted to come to school, but those kids made me come to school every day. They are also the reason my grades are up, so that they can look up to me and say ‘He is really smart’… My life has completely changed since I have started the program, and nothing will make me go back to the way I was.” - Read the full essay. “The Coca-Cola Valued Youth Program really is life changing. 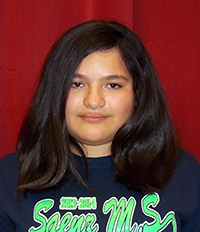 It has given me a different perspective on what I want to do with my life,” wrote Melina Martinez. “Before I was introduced to the program, I was a girl who would walk the halls of my school and feel so small and invisible. I was struggling with my classes… I feel not only did the Coca-Cola Valued Youth Program change my life, it has changed my tutees’ lives too… My tutees are very bright young students, and I am happy to have the privilege to work with them. Knowing that I am helping better someone’s future brings a warm feeling to my heart.” - Read the full essay. 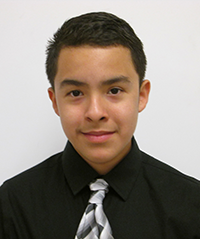 In his essay, Christian Ortiz wrote: “That first day was when my whole world changed immensely. I never thought that three little 9 year olds could inspire and motivate me in so many ways. That day, I went home and apologized to my mother, told her from now on I would do my homework and chores without having to be told twice, and I also told her about my first day with the tutees. I told her I would give her $50 from my first paycheck for the bills. She told me she was so proud of me… To this day, I thank my tutees for being my inspiration, and I no longer do it for the money. I do it for the tutees and me.” - Read the full essay. “The first day of attending our elementary for tutoring, I was very scared yet excited to start,” Gisel Salinas wrote in her essay. “As the months have gone by, the things these kids have learned have shocked me. I never thought I could make that much of a difference in the life of another student. When I am at home, I try and make little awards for my tutees so they know that I appreciate everything they are learning from me…The reward I have had from the experience in the Coca-Cola Valued Youth Program has resulted in my confidence going up. I now feel more secure knowing that I am capable of one day being a teacher in life.” - Read the full essay. Johan Servones wrote: “In this tutoring program, I want my tutees to be inspired and start to think about what they want to be in the future, just like my teacher has inspired me…When I was given the opportunity to teach tutees from kindergarten, I realized that I was taking some important steps toward reaching my dream of becoming a teacher because I was practicing…I love being in this program and spending time with my three tutees. Being in the Coca-Cola Valued Youth Program has helped me think more about my own dream and has helped me realize that I know it will come true. - Read the full essay. Honorable mentions were awarded to students in schools that submitted multiple student essays; these students had the highest score at their campus. 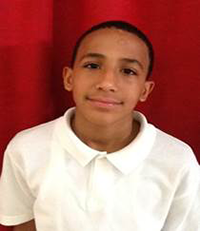 The Coca-Cola Valued Youth Program, created by IDRA, is an internationally-recognized cross-age tutoring program. Since its inception in 1984, the program has kept more than 33,000 students in school, young people who were previously at risk of dropping out. According to the Valued Youth creed, all students are valuable, none is expendable. The lives of more than 787,000 children, families and educators have been positively impacted by the program. The text of all of the winning essays is available online. Find out how you can bring the Coca-Cola Valued Youth Program to your school. TV News Story: IDRA’s Dropout Prevention Tutoring Demonstration: guests from across the country visit San Antonio to find out how to bring the program to their schools. This research-based, internationally-recognized dropout prevention program keeps 98 percent of its tutors in school – students who were once considered at-risk. 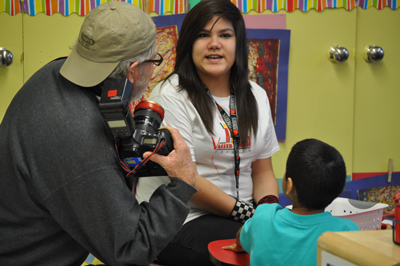 See the WOAI News 4 San Antonio TV story about the program. Newspaper Story: South San ISD student mentoring program draws national attention - by Francisco Vara-Orta at the San Antonio Express-News who came by to observe IDRA's Coca-Cola Valued Youth Program in action. There are some wonderful photos here too. We're so proud of our South San HS tutors and Kindred Elementary tutees!